We planned to visit Nuremberg for years, but we always thought we will be there during its Christmas market. After all – the Christmas market in Nuremberg is known as one of the best Christmas markets in Europe. Instead of visiting Nuremberg in December, we already stopped there in May and explored what are the best things to do in Nuremberg. We spend 3 full days in Nuremberg and we could easily stay there few more. 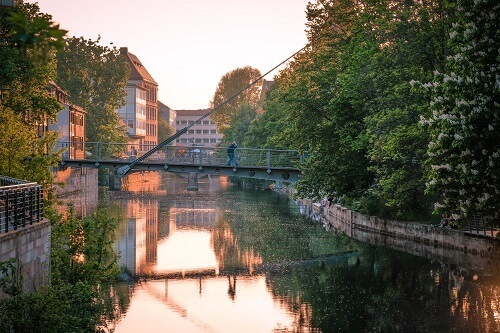 This second largest Bavarian city (the largest is Munich) offers lots of things to do and see. 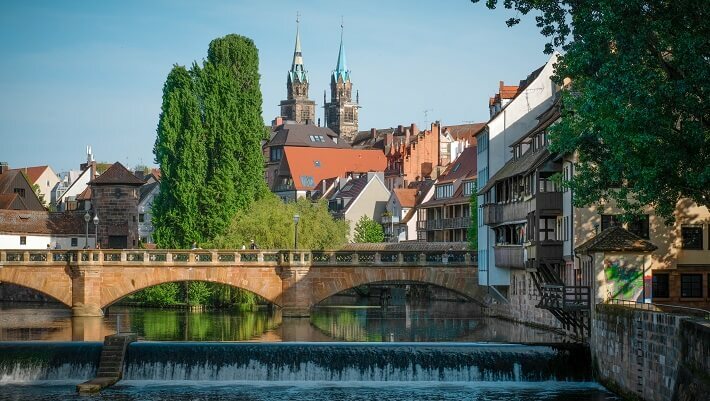 What are the best things to do in Nuremberg? 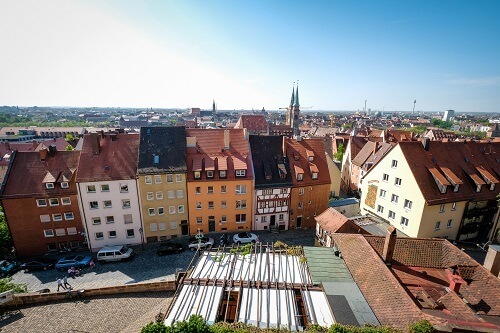 Even though more than 90% of Nuremberg was destroyed in the WW2, everything was renovated as it was before the war, so you can still enjoy and admire the old look of the buildings. 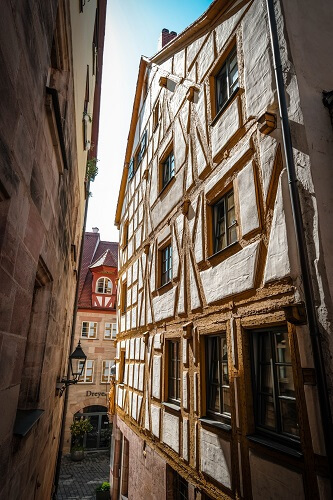 For me, the most beautiful part of the old town of Nuremberg was its half-timbered houses, so make sure to put them on your list when collecting things to do in Nuremberg. 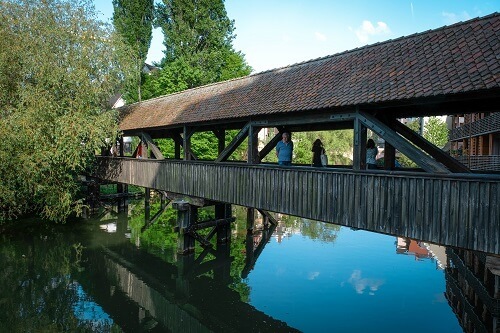 The old town of Nuremberg has full of bridges – but you for sure should not miss the most famous five, which include one suspension and one wooden bridge. 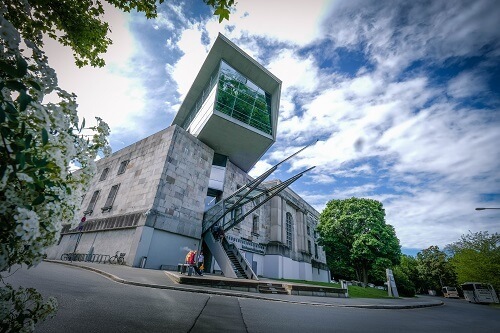 Seeing things from different perspective is always fun and also be included as one of many things to do in Nurember. So, don’t forget to look up – especially when you stand under a tall church tower, which looks even more spectacular that way. You can never miss when visiting the squares in Nuremberg, as there’s always something going on. Sit in a cafe and enjoy the reality show in front of you or stop at the markets. If you’ll be visiting Nuremberg in December, you for sure will find yourself at the main market, where the famous Christmas market is held. Visiting the Christmas market is still one of the best things to do in Nuremberg, for which we will need to return to the city again. 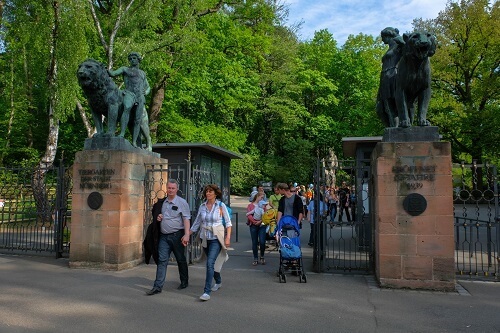 Nuremberg has its own city ZOO ever since 1939. 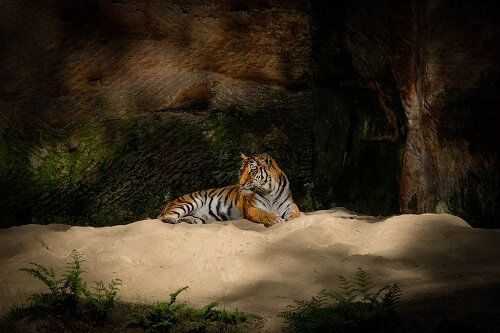 There are more than 300 different animal species inside and with almost 70 hectares, the Nurnberg ZOO is one of the largest in Europe. 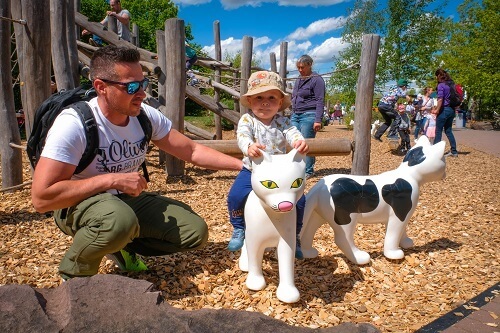 If you are traveling with kids, the city ZOO is a nice experience and one of the best things to do in Nuremberg. Like every real city, also Nuremberg has its own castle, which offers views down the bussy city streets. 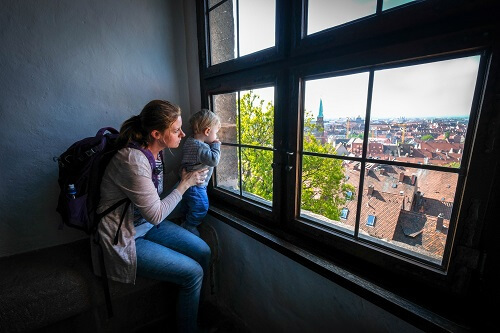 One of the best things to do in Nuremberg is to take a walk inside of the castle and try to imagine the life it once was. 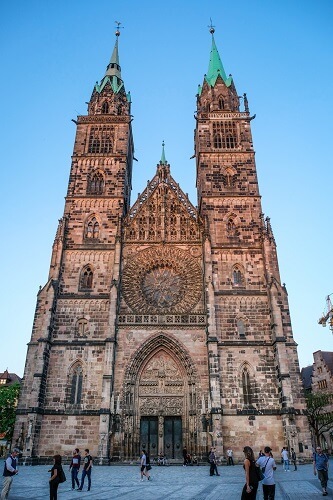 Nuremberg, being the second largest city in Bavaria, offers full of museums. 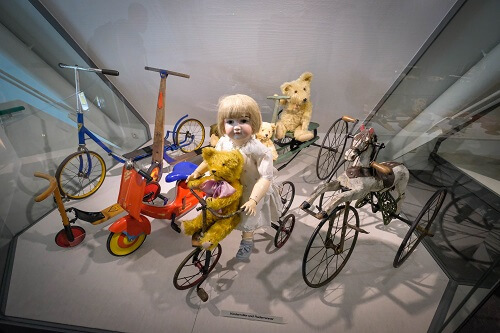 We alo visited one – the Toys Museum, which we first thought it will be more or less for Ren, but at the end I was the one having hard time to leave. 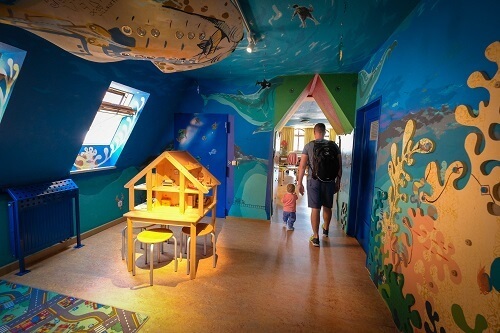 The museum also has a nice playing area in the 3rd floor – one of the best things to do in Nuremberg on a rainny day. 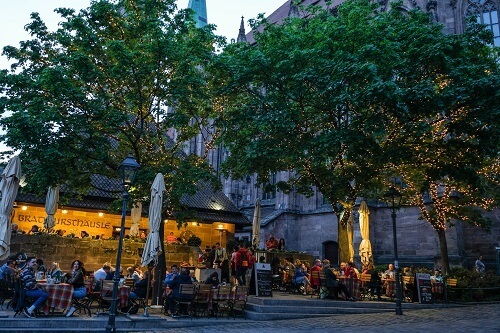 The old town of Nuremberg has lots of local restaurants, where Bavarian specialities are being served. 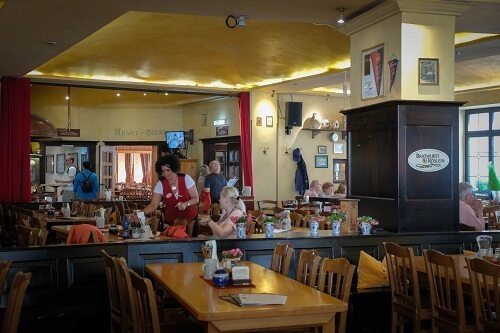 We really liked the food, staff and prices in the Bratwurst Roslein. 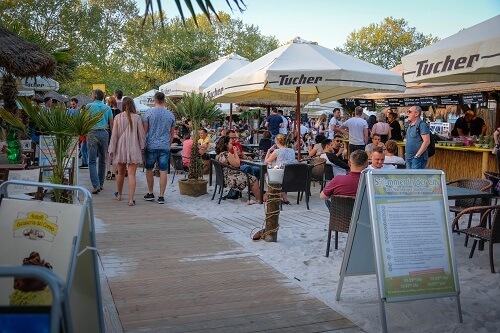 The restaurant has a big outdoor garden, but also its interior is perfect to feel the local atmosphere. 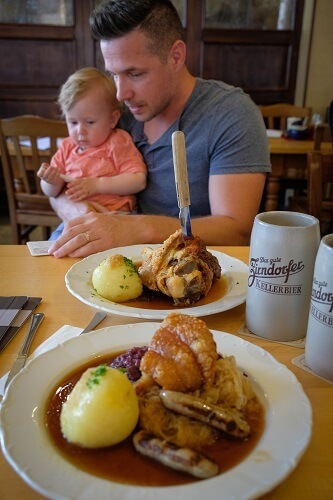 If you ask me, no matter where you are, tasting local cuisine is one of the best things to do in Nuremberg and all around the world. 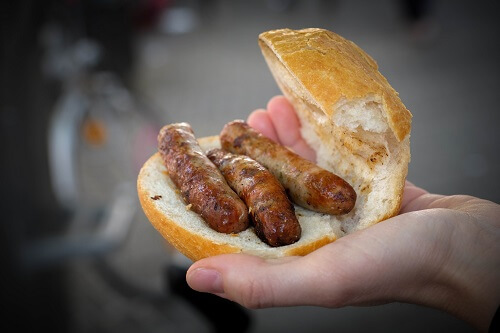 Don’t even forget on the local street food – a sandwich with three small local sausages, called Drei im Weckla, meaning three in a bun. You can get it all over the old town. It is good and cheap and perfect for a snack bewtween meals. Every city is known for something and the best souvenir you can take home from Nuremberg are its Lebkuchen – similar to gingerbread. Visit a shop or two, where this yummy cookies are being baked for centuries. 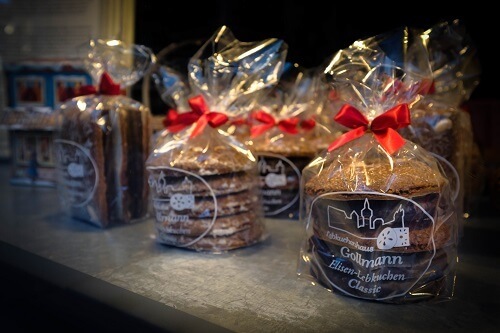 Tasting the Lebkuchen is for sure one of the sweetest things to do in Nuremberg. If you ask me, everyone should get to know the history of the WW2. Did you know that the National Rally had its grounds in Nuremberg, where also rallys were held? 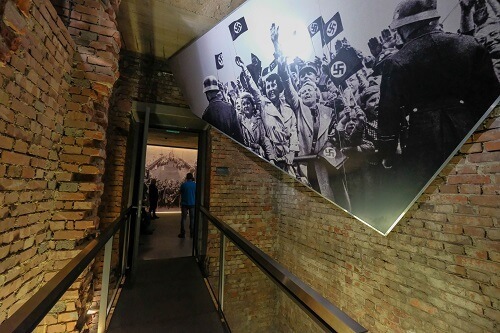 This Documentation centre represents in detail what all was going on here and teaches you about the darker side of the city’s history. For me, highly on the list as one of the things to do in Nuremberg. 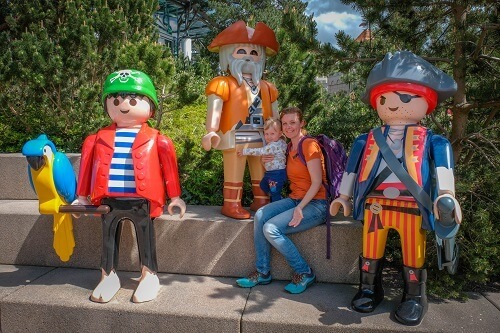 One of the best things to do in Nuremberg with kids is to spend one day in the nearby Playmobil Fun Park. 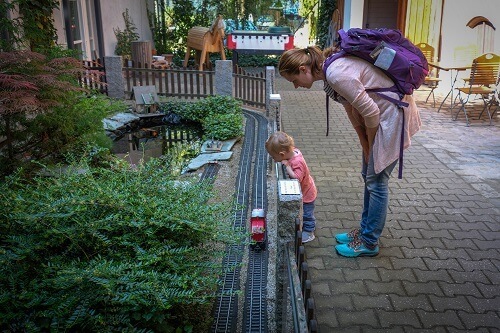 This place is perfect for kids older than 3 years, but also our Ren (aged 16 months) really enjoyed it there – and so did we. You can read more about the Playmobil Fun Park here. Even though we did not visit Nuremberg during its Christmas market, as first planned, we actually enjoyed the city so much, we would not mind to come back again – hopefully the next time it really will be for the famous Christmas market. 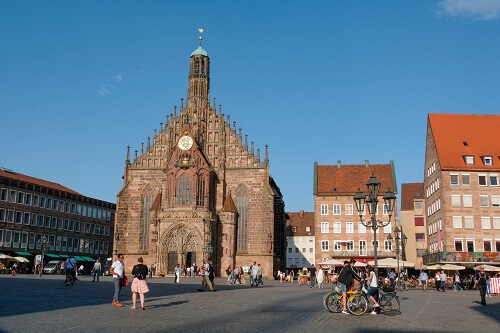 But there are plenty of things to do in Nuremberg, no matter when you are traveling there. Travel tip on where to sleep? Now that we have our little traveler with us, it is great to have a space where you can prepare something to eat, wash his dirty clothes and still have large enough space to play and jump around. 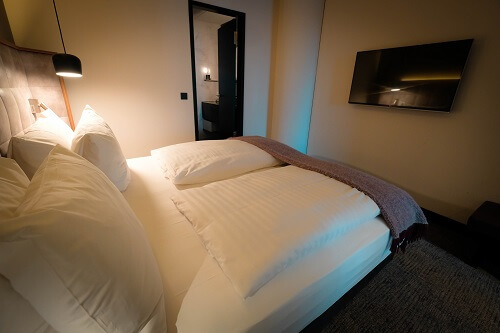 That is why, staying at the amazing Adina Apartment Hotel in the old town of Nuremberg was ideal and we would definitely recommend it to everyone, especially if traveling to Nuremberg with kids. Not to mention that most of the best things in Nuremberg were reachable by foot. 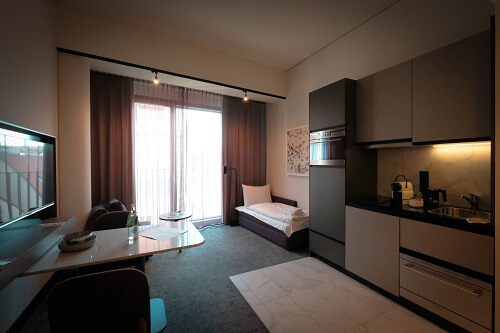 The location of Adina Apartment Hotel is on the outskirt of the old town, but everything can be reached on foot – ideal as a starting point for things to do in Nuremberg. 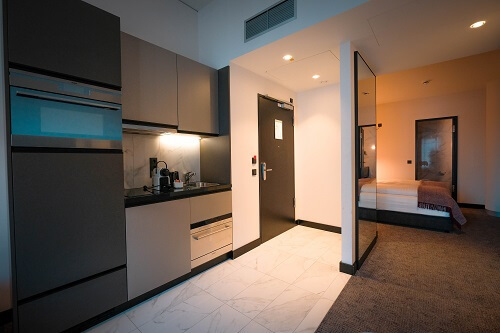 The Adina Apartment Hotel also offer delicious breakfast sauna, fitness and swimming pool. If you’ll be staying in Nuremberg for two days, visiting museums and using its public transport, we would definitely recommend you to get yourself the Nuremberg card. 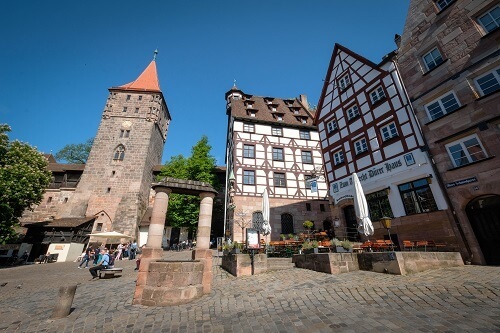 The card includes free entrance to all museums (including the city ZOO and the fortress) and also free rides on public transport and is valid for 48 hours – it is a great way to save some money when ticking off the best things to do in Nuremberg. You can get more information about the Nuremberg card here.